If you’re looking to get started with canning, pickling, or preserving, these are pretty much all the items you’ll need. I’ve included a few of my favorite books to help you get started, and don’t be intimidated by the pressure canner — you can start by using a large pot and just boiling water. We use all of these products in our own kitchen. They’re my favorites, and I bet they’ll be yours, too. A few cheap, plastic tools that will make life easier when getting started canning. Keep some extra lids on hand, since they can be used for canning only once (they can still be reused if freezing or storing dry goods). Also good for freezing 2-cup portions (just don't use for canning after they've been frozen). 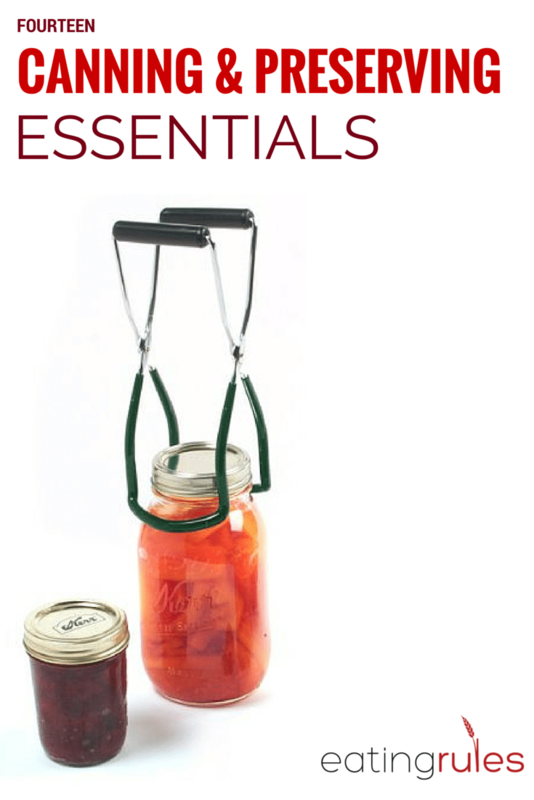 Not just for canning, they're great for all kinds of kitchen storage! I prefer the wide-mouth jars, since they're easier to fill, empty, and clean. Makes sterilizing lids much easier - you won't have to spend time fishing them out of the bottom of a pot of boiling water. Safely and easily lift jars out of the hot water bath. Smaller than most vacuum sealers, and the bags are reusable up to ten times. Perfect for Sous-Vide, or just sealing foods so they keep longer in the fridge or freezer. This is easily the best value in pressure canners - you don't need to spend hundreds of dollars! Keeps the jars from sitting on the bottom of the pot, ensuring even circulation and heating. Makes filling jars much easier. This is a nicer version of the funnel that comes in the starter kit.